EdTechTeacher’s Beth Holland co-led several iPad workshops this summer and has been working with schools across the country who are integrating iPads into their classrooms. She wrote the following post for Edudemic as a response to a dissuasion post about the use of iBooks in the classroom. Recently, I saw a post on a discussion board that asked, “Whatever happened to iBooks?” I found that a really entertaining concept, because my EdTechTeacher colleague – Greg Kulowiec – and I have spent hours on iBooks this summer in our workshops. In fact, iBooks is one of the first apps that we discuss, and one of the last ones that we reference. However, our use of this tool follows along a path from consumption to creation. In our workshops, we begin by discussing how Apple initially marketed the iPad as a device for consumption – watch a movie, read a book, browse the web…. With the iPad2, thanks in part to the integration of the camera as well as the rapid development of apps, it started to become more of a creation tool – make a movie, share a photo, create a song…. We’ve applied that same thought process to iBooks, and explore it across the spectrum from consumption to creation. Before even discussing the wealth of resources that can be read in iBooks, just think about the capabilities that it brings to the act of reading. The native features include the ability to highlight text, to take, save, and share notes, to search, to look up any word in a dictionary or online, as well as to leverage text-to-speech. For students and teachers, this means that it is now possible to….. Teach active reading skills – teachers can demonstrate exactly what to highlight and how to annotate those highlights by projecting their iPad while in iBooks. Similarly, they can show students how to leverage the dictionary in order to improve comprehension and work on vocabulary in context. For teachers that may not be in a 1:1 situation, iBooks could be used to model what students should be doing in their paper copies. Support students’ active reading – students now have editable notes. When I taught 9th grade English, we used a variety of active reading strategies involving multi-colored pens: red for important quotes, green for vocabulary words, and blue for general notes. A source of frustration, though, was when students made a mistake. With iBooks, students can correct their notes, add to them, and then easily search them from the Table of Contents. As a teacher, rather than flipping through each individual book to see if the students completed their reading, I could scan the Table of Contents or even ask students to email me their notes as an assignment so that I could provide direct feedback not only on what they read, but how well they annotated it. Support diverse learners – especially in middle and high school, we expect all students to be able to read for comprehension. However, some students may still be struggling with decoding and vocabulary. Because text-to-speech and the dictionary are native features of iBooks, students have instant access to reading supports without drawing attention to themselves or requiring outside assistance. Greg and I ran an iPads, ePubs, & iBooks Author workshop this past summer. Of the 25 participants who joined us, most had been sent to learn how to create their own textbooks. While it is possible to create dynamic, interactive course content with iBooks Author, there are other options as well. dotEPUB is a free tool that converts web content into ePub files to be consumed in iBooks. 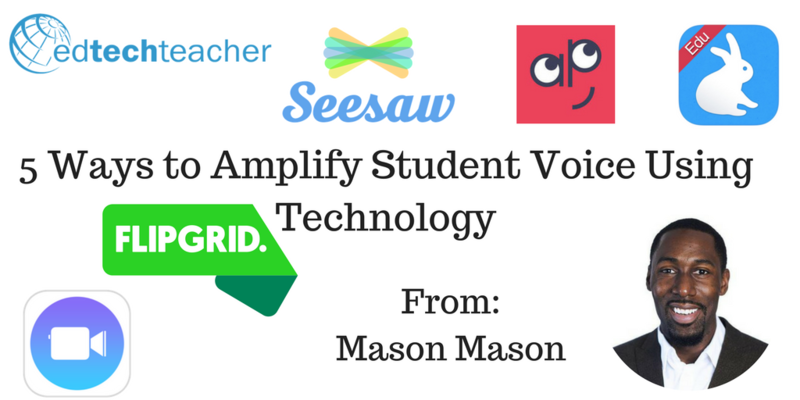 (Watch this EdTechTeacher video tutorial for more information.) This has several major implications for teachers. First, teachers can easily curate web content for students to read without needing Internet access. Once the content has been loaded onto the iPad, all reading can occur offline. Second, bringing web content into dotEPUB removes all advertisements, images, and other distractions while integrating all of the native features that support the reading process. Finally, web content does not have to be limited to what teachers can find online. In iPads, ePubs, and Windows – stuffing a square peg in a round hole, I outlined the potential to save a Microsoft Word document as an HTML file that can then be converted into an ePub with dotEPUB. For Mac users with iWork, Pages documents can be saved directly as ePubs. In other words, teachers could even curate content from multiple sources into a single file that students could then actively read with iBooks. It is possible to create custom course content as ePub files from an iPad using apps such as BookCreator ($3.99), Creative Book Builder ($3.99), and Composer (free). These apps allow for the integration of narration, imges, and video, but more on that later… For those who are not daunted by multi-step processes, teachers and students can even create ePubs with the Pages app. While there are a wealth of resources available in the iBook Store – both free and paid for – teachers more content for iBooks exists in the public domain. Project Gutenberg includes over 40,000 books that are free to download, read, and annotate in iBooks. Similarly, Librivox not only pulls from the Project Gutenberg library, but also includes audio versions of those same texts. Given all this potential, WHY would a teacher actually go through the process of either creating digital content or teaching students how to access it? Think about when your students now do a research project. Rather than sort through a myriad of web links and print-outs, they could convert all of the web content that they discover into ePubs and then organize the files into a Collection within iBooks (see image to the right for an example). Their notes and annotations save into the document, and can be submitted for review via email. In fact, if students copy and paste highlighted sections of text into sticky notes within iBooks, and then write additional information, they have essentially created an annotated bibliography directly in the text. So… What Happened to iBooks? Educators may or may not be using iBooks as a typical eReader, or in the way that Apple initially assumed, and with the rise of textbook apps like Inkling as well as collaborative readers like SubText, one reading app of choice may not emerge. Additionally, as more classrooms and schools move towards a BYOD/BYOT environment, iBooks as an app may play a less centralized role. However, the concept of creating and curating digital content as ePubs certainly works across devices – a variety of eReader apps and extensions exist for Kindle, Nook, Android, FireFox and Chrome. While, the mechanics for collecting and annotating course content may change depending on the platform, the concepts apply. I tried to go back and find the original post about whatever happened to iBooks. Personally, I don’t think it has gone anywhere. Beth and Greg Kulowiec will be talking more about iBooks, ePubs, and creating custom course content during the November 6-8, EdTechTeacher iPad Summit.